controller dispatcher servlet flow of spring mvc application spring mvc application flow spring MVC architecture steps to create spring mvc application view resolver what is spring mvc architecture ? 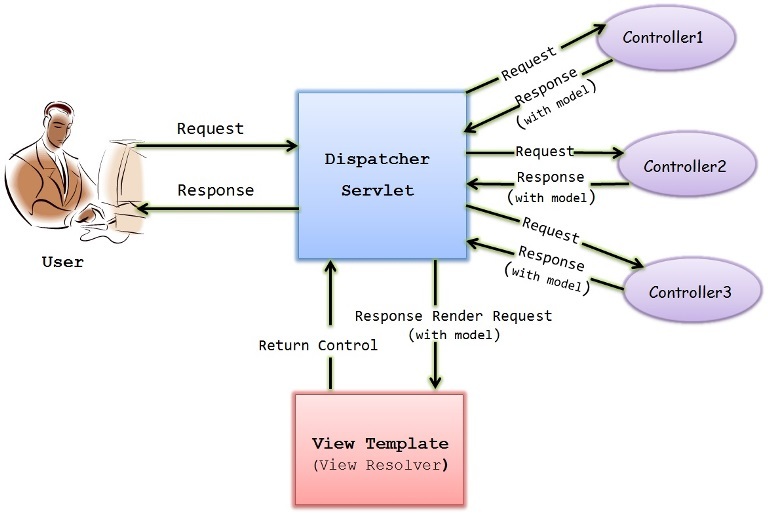 This is the Dispatcher servlet controller also called as Front controller which is the main controller which manages the flow of the Spring MVC application. So Dispatcher servlet is defined and mapped to the url pattern /, which means all request must go through Dispatcher servlet. Controller is the one which handles the specific request which is mapped by its request mapping. So every controller class will be annotated with @controller and each of its method is mapped to some request url. 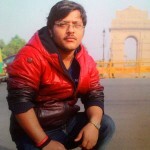 Model is the class which holds the data to transfer between view and controller. Anything in the view is transferred to controller using model class and vice versa. View is the UI thing which is used for displaying the data,it can be jsp or any other view technology. Specific view for the corresponding request is displayed based on the view resolver, it helps in finding the exact view name. 3) Create a simple JSP page which will have a form request to be submitted. 4) Create the controller class which will have a method to map a particular request. 5) Create the model class which can hold the form data. 7) Create the view page(.jsp) to hold the response from the controller. 3) Dispatcher servlet passes the request to the corresponding controller based on url mapping. 4) Controller performs the task and return the model and view. 5) Dispatcher servlet maps the view name to the corresponding jsp(any view technology) using view resolver. 6) View renders the model and display it. Will be adding soon,, work in progress !! A bit confused about the usage of “alias” tag. Could you give a brief explanation.